When googling for the perfect Facebook or Instagram post, you will find many articles tackling this topic. The thought makes sense as organic performance is still a massive part of most social media marketing strategies, despite reports of declining reach. To try and answer the question for the perfect post, we analyzed more than 10 million Facebook and Instagram posts from January 2018. Though many results were expectable, they were sometimes also surprising. To keep the analysis as easy to digest as possible, we clustered text length, used emojis and hashtags in differently sized buckets. 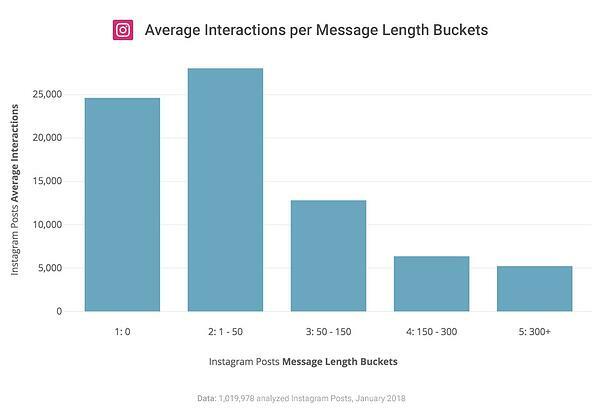 As a means of measurement, we chose the average number of gained interactions per category, which can be seen as an indicator of the engagement with specific content. For Facebook, these interactions include all likes, reactions, comments, and shares. For Instagram, it was likes and comments. Let’s get to the exciting part: the results! All figures that you can read about in this post are averages of all posts analyzed. Accordingly, these are averages that represent a broad cross-section of very different social media profiles. Hypothesis 1: Less text leads to more interactions. In social networks we usually tend to spend our free time – LinkedIn might be an exception there. It wouldn’t be surprising if users would find long text message rather annoying. Thus our first hypothesis: short texts lead to more interactions. Our analysis shows a pattern that goes hand in hand with the hypothesis. We could see that content with text between 1 and 50 characters gets the most average interactions. Posts without texts land on second place, by the way. The same picture can be seen on Instagram. Here too, short posts get more average interactions. We can already see at this point: less can be more! Hypothesis 2: Video posts receive the most interactions. It’s become common knowledge that visual content and especially videos work really well in social networks. 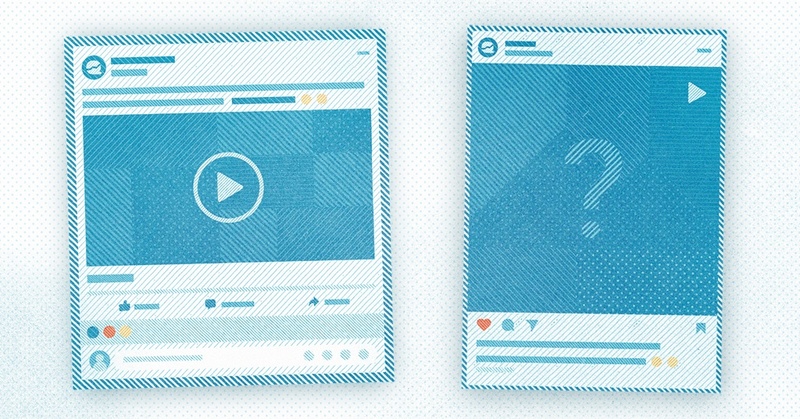 Our second hypothesis is thus: video posts get the most interactions. It can be affirmed based on our analysis of over 12 million posts. 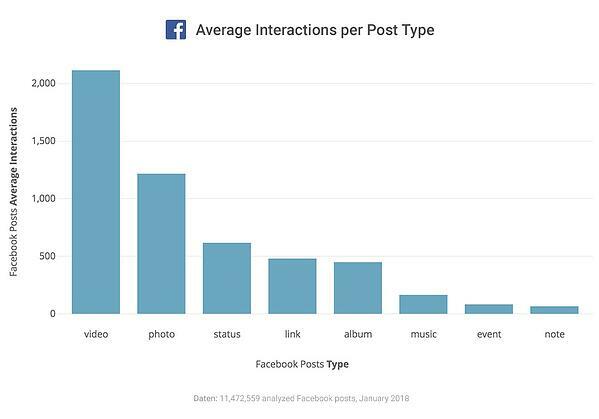 Videos get the most interactions by far on Facebook, followed by images. This is quite similar on Instagram. The carousel feature lands on second place there, meaning the option to include several images in one post. Interestingly, the usage of the different formats differs quite from their success. On Facebook, the post type that gets only the fourth most interactions is used most often. It’s link posts. The accounts post images most of the time on Instagram, more than 75%, but videos get the most interactions. Hypothesis 3: Weekday posts are most successful. Again and again people ask themselves the question of the perfect posting time. For this analysis, we chose to look at a more general differentiation between weekdays and weekends. Our third hypothesis: Posts that are published during the week receive more interactions. This was proven wrong. 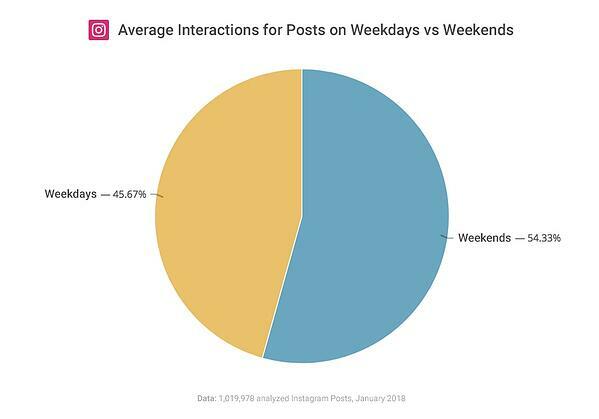 While most posts are published during the week, the content on weekends gets more interactions on average. This holds true for both Facebook and Instagram. Do hashtags and emojis lead to more interactions? While hashtags almost play no role at all on Facebook, they have proven to be very popular on Instagram. But what effect do they have? And how about emojis? Should you use them at all, sparsely or a lot? The answers to these question can be found in our full report, where we also summarize all findings and give a handy overview of how the perfect post could look like. Which further aspects would be interesting for you? Just send us a tweet or message us on Facebook – we’ll try our best to answer your questions to the perfect post. Stay tuned for the next week when we dive even deeper into the analysis.